T.J. Zane is a public affairs professional and has provided consulting services for numerous non-profit/trade associations and corporate clientele, as well as executive management services for political committees and candidates at every level of government, since 1996. From 2006 to 2014, T.J. served as the chief executive for the Lincoln Club of San Diego County, growing the organization into the region’s then-largest and most influential pro-business political action committee. 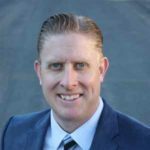 In 2011, T.J. started two 501(c) non-profit organizations, the San Diego County Prosperity Institute (and Foundation), and in 2014 he was elected to the Poway Unified School District’s Board of Trustees. T.J. is a proud graduate of the University of Pennsylvania, with degrees in Political Science and Communications. 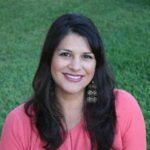 Rozanna Zane is an event specialist with over 20 years of experience and has provided planning and production services for hundreds of individuals and organizations, as well as supply chain management services for corporate entities. With an extensive background in operations, logistics and inventory management, Rozanna produces a variety of special events coast-to-coast including weddings, anniversaries and reunions, group conferences and weekend seminars, street fairs and community events, fundraisers, annual dinners and corporate and political events. A native Californian, Rozanna is a graduate of Cal State University San Marcos, with a Bachelor of Science degree in Business – High Tech Management.